OurEnergyPolicy.org | Climate Engineering: Solution or Problem? On February 10, the National Academy of Sciences (NAS) released two major new reports on climate engineering (or “geoengineering”). The reports set out to summarize the scientific basis for what the authors chose to call “climate intervention,” identify governance and ethical challenges, and chart a new research agenda. While the authors were careful to state that climate intervention is no substitute for reduction in carbon dioxide emissions, the reports indicate support for further investigation into large-scale technological responses. The paired studies assess two specific groups of strategies: (1) carbon dioxide removal and (2) reflecting sunlight, or albedo modification. While the first group of options could, if perfected, reduce the radiative forcing caused by greenhouse gases in the atmosphere, it is unclear if new technologies are ready for large-scale deployment. Similarly, reflecting sunlight could rapidly cool the planet, but such an approach also poses numerous environmental and social risks that are not well understood. In the wake of the NAS reports, climate engineering remains a controversial proposition. Proponents of climate engineering research and potential deployment suggest that there may be cost-effective ways to remove carbon from the atmosphere and hold it in long-term storage, or ways to reduce incoming solar radiation to curb atmospheric warming. Critics question who will control the new technology and if it will provide an excuse for policymakers to avoid unpopular measures that reduce carbon emissions. There are also possibilities of catastrophic failure of imagined technological systems and the emergence of new international security risks from the development of climate engineering capabilities. As the NAS report suggests, climate engineering has the potential to reduce some of the impacts associated with carbon emissions; however, it also poses significant risks and uncertainty. Do leading climate engineering proposals offer a realistic form of response to climate change? What are the major scientific, political, and social challenges to climate engineering's development? Do the potential benefits of climate engineering research outweigh the risk that it will be used as an excuse not to deal with carbon emissions today? 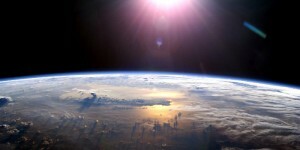 22 Responses to Climate Engineering: Solution or Problem? One of the things notably absent from the two voluminous reports was ANY advocacy of a public deliberative component in the discussion in the US as to whether we should actively explore the geoengineering option. As the reports indicate, going down this path would potentially require us to keep such strategies in place for a millenium or more, and could have huge environmental and social justice implications, including potentially depleting the ozone layer and postponing its replenishment, imperiling the monsoons in South Asia, and requiring huge amounts of agricultural land to be displaced for bioenergy and carbon capture and sequestration proposals. We need a robust public discussion about whether we would ever go down this path, and the time for this discussion is not after technocrats have set research in motion and vested interests begin to fight to keep such programs alive no matter what the consequences. There are a large number of options to engender dialogic deliberation, including citizen juries, decision mapping and focus groups. The fact that the NAS discussed none of these options sends a chill down my spine; it appears that it believes that scientists know what’s best for society; it’s both not democratic, and is likely to engender a huge backlash ultimately. The gist of the NRC reports is that more research is needed on climate engineering options to understand what may or may not be feasible and what the impacts and implications might be. Nothing in the reports or in the National Academies’ behavior suggests that they do not want or expect the public to be engaged in considering these options and the issues they raise. In fact, the NAS itself constantly conducts numerous public events on many subjects, in addition to providing a copious stream of publications in multiple media. The climate engineering reports themselves are available for purchase and can be downloaded for free as pdf or read on the Web. Burns evidently prefers public debate to be shrouded in ignorance than to have it informed by more substantive scientific research. Ad hominems aside, Lewis, I’m not quite sure how you could construe my argument in that fashion. Nowhere in my posting did I indicate that we shouldn’t conduct research; what I did suggest is that it needs to be informed by contemporaneous public deliberations. While the NAS may sometimes engage in such exercises, it’s still notable that, unlike its equivalent body in the UK, the Royal Society, it did not discuss a potential role for the public in the research phase, which is troubling. Perhaps you have an inside track on what the NAS is planning to do, but if not, I would suggest that its roadmap should expressly include protocols for public deliberation, and not after the scientists have “decided” what is best for America. The National Academy of Sciences reports talk about the need for “open conversations” about climate engineering technologies. It’s one thing to call for an open conversation, however, and quite another thing to chart, in some rigorous way, what such a conversation would look like. Who gets a say in whether climate engineering / climate intervention research goes forward? If research is to proceed, or if deployment is considered, who gets to weigh in, by what means? I wonder, Wil and others, if we can flesh out here what real and robust public conversation about, and engagement with, climate engineering would look like. Are there examples of useful public conversations around climate engineering taking place in the United States or elsewhere? Are there examples from our collective experience with other complex technologies — nuclear, biotechnologies, nanotechnologies — or other contentious issue areas that might inform the structuring of public conversations around climate engineering? Any thoughts and insights welcome. Wil, I share some of your unease about technocratic policy making. Technocrats can be ideologues, and they often are. Nonetheless, efforts meant to involve and inform the public often produce perverse results. The literature on risk perception shows that the public can be disastrously wrong. And such errors can be nearly incorrigible. The course of events on GM crops makes the point all too well. Moreover, the green groups often pervert rules that purport to inform and involve the public into weapons with which to delay and to impose needless costs on projects that they oppose. Given that at least some green groups are implacable foes of SRM, it seems clear that they will misuse programs adopted under the guise of consulting and informing the public about SRM just as they are now doing in their campaign against drilling for tight oil and gas. To be sure, ultimately, the greens cannot control SRM deployment. Their political power works only within and through the affluent democracies. By hobbling or warping U.S. research into SRM, the greens would, in the long-run, lessen their own sway over its use. It remains to be seen, of course, whether the costs of climate change will ever rise high enough and the risks of SRM will fall low enough to justify SRM deployment. But should the greens hobble Washington’s research on the subject, they would merely ensure that the decision would be made in Beijing, Moscow, or New Delhi. This fact does not mean that the greens will not revert to obstructionism. Reflecting sunlight (or solar radiation management – SRM) and carbon dioxide removal (CDR) are very different approaches. The reflecting sunlight approach does indeed require a millennial commitment (unless it is used on a temporary basis while CDR is implemented) and can cause all kinds of negative side effects. CDR on the other hand just lowers CO2 concentrations in the atmosphere and tries to reverse the geoengineering we are currently pursuing (burning fossil fuels and loading up the atmosphere with CO2). The major issues with CDR are cost of capture and availability/safety of CO2 sequestration sites. I’ve spoken with scientists working on the “air capture” problem and they believe it can be implemented at “reasonable” cost (less than $100/ton of CO2). As for availability of sites, the DoE says there is plenty of room underground (at least in the US). I’ve spoken with a sequestration expert at Stanford and she believes that large-scale sequestration can be implemented safely. It should be noted that there is currently no business model for “saving the world” so until there is a serious price on carbon, governments should provide ample funding for air capture R&D. It should also be noted that we are currently implementing SRM. The aerosols (or smoke) from burning coal do a good job of reflecting sunlight back into space. Jim Hansen has estimated that aerosols (coal smoke and other manmade pollution) reduce global warming by about half what it would be absent the aerosols. This means that when China and India get around to cleaning up their air pollution problems, global temperatures will almost immediately increase. While the CO2 emissions from burning coal last in the atmosphere for hundreds to thousands of years, the smoke only lasts for a few weeks. Hansen as described this situation as a Faustian Bargain. Good point about the albedo effect of smokestack emissions. Of course, volcanoes do the same, sometimes with quite profound impacts. The grounding of nearly all aircraft in the US right after the attacks on 9/11/2001 provided a fortuitous experiment which showed that jet aircraft contrails also have a measurable impact on albedo and hence weather. As for CDR, the removal of sulfur from smokestack emissions was economically facilitated by the commercial market for the sulfuric acid produced in the process. Processes that could convert captured CO2 or methane into durable commercial products would go a long way toward making CDR more feasible. One step in that direction is Air Carbon, a plastic that is made from methane. Of course plants like trees and bamboo convert atmospheric carbon into durable products. (As do shellfish.) Finding ways to boost the efficiency of photosynthesis or other biological processes could increase the impact of these means of harvesting atmospheric carbon. These are areas where accelerated technology innovation would be helpful. Such useful byproducts of atmospheric carbon provide a more elegant and efficient solution to CDR than just pumping gases underground (and hoping they will stay put), safely). The “less than $100/ton” figure mentioned for underground storage still seems many times too high, given that the market prices for carbon are only a few dollars per ton. I wonder if this framing is too narrow. Yes, removing CO2 from the atmosphere is on its face an extraordinarily helpful move. But the method matters. The leading CDR proposals — I’m thinking ocean iron fertilization (OIF) or bioenergy with carbon capture and storage (BECCS) — have massive implications for ecosystems and people. How are such potential costs and risks to be determined and talked about? And then there’s the question of what’s “causing” climate change. If climate change is seen as a CO2 problem, then sucking a unit of carbon out of the atmosphere using a CDR approach can be seen as equivalent to preventing that unit of carbon from entering the atmosphere in the first place. In other words, CDR = mitigation. Is that true, though? Should these be seen as equivalent strategies? Where should policymakers and the general public be investing hope and effort? I hope we’ll hear from additional voices on these kinds of questions. Thanks again, Dan, for sparking an interesting line of conversation. Yes, the method matters but, in general, removing CO2 from the atmosphere does help remove the “cause” of climate change. While there are many possible approaches, I was talking about direct “air capture”: machines that capture CO2 from the atmosphere and then sequester it underground. But removing one unit of CO2 from the air is to the same as preventing one unit of being released into the air. When you release a ton of CO2, about 26% of it gets absorbed by the ocean and much of the remainder lasts in the atmosphere for hundreds to thousands of years. When you remove one ton from the atmosphere, you lower the CO2 balance between the atmosphere and the ocean, so the ocean releases CO2 back into the atmosphere, so you need to remove about 1-¼ tons to be equivalent to preventing one ton from being released. Once you account for the ocean balance, CDR and mitigation are basically equivalent from a climate perspective. However, mitigation is much, much cheaper and simpler than CDR. However, we probably will need to implement CDR because we have failed in our duty to future generations. Mitigation is essentially free since fossil fuels are extremely expensive when external costs (which are real and must be paid by society) are accounted for. In other words, renewables are cheaper than fossil fuels when costs are properly accounted for. CDR is used to remove fossil fuel external costs in return for the expense of removing the CO2 from the atmosphere. I need to correct what I posted above. It is true that you need to remove more than 1 ton of CO2 from the atmosphere in order to lower the atmosphere’s CO2 concentration by 1 ton, since the ocean will release some CO2 back to the atmosphere. However, when you release a new ton of CO2 into the atmosphere, about 26% is absorbed by the atmosphere, so the atmosphere loading goes up by ~0.7 ton. Therefore, removing 1 ton from the atmosphere is about the same as not releasing one ton from a climate point-of-view. However, it is still true that it is much, much cheaper and simpler to not release the ton in the first place. There may be a third option we should consider. Rather than trying to remove carbon from the atmosphere to 2005 levels we should first seek some concentration level that causes further climate climate change from occurring. By reaching such an equilibrium point we might have the time to explore possible methods which would further lower CO2 concentrations. A combination of conservation, renewable energy, and nuclear power should be enough to have carbon free electricity over time, where today our elctricity production accounts for about 39% of the CO2 releases. The next big area to focus on is the release of CO2 in the transportation area, almost exclusively caused by burning petroleum products. More efficient vehicles and more electrified transportation would do much to reduce CO2 emissions from the transportation sector, but not enough. As pointed out in the report “California’s Energy Future” the need for high energy density fuels in air travel and elsewhere would still require the use of fossil fuels and would remain a major source of CO2 emissions. Therefore the task ahead is to obtain a carbon free liquid fuel of high energy density. This may be quite difficult to obtain, but a no net carbon liquid fuel of high energy density looks possible. Today carbon fuels are a “once through” process. carbon fuels are extracted from the ground, burned and CO2 is released into the atmosphere of which a large fraction ends up in our ocaens, causing acidification and other issues. However, if we constructed a total recycle approach there would be no net carbon. Suppose we extracted concentrated CO2 from surface levels in the ocean, added energy and combined the chemical products to make methanol. The methanol can be further worked on to make other organic liquid fuels with higher energy densities and could be used to propel aircraft. The overall carbon cycle then becomes: deplete CO2 from the ocean surfaces, make high density liquid fuel, burn this liquid fuel thereby creating CO2 in the atmosphere, this atmospheric CO2 then returns to the ocean closing this cycle with no net CO2. Peolple are working on this process now. The liquid fuel is likely to be expensive, however it might become a new chapter for renewable energy. Offshore windpower might be one of the energy sources for making methanol. This no net carbon methanol market might be a better place for offshore wind power because it could compete better than trying to compete with onshore sources of electricity. Making methanol eliminates concerns about the variability of wind power or any possible introduction of grid instabilities, no expensive electric connections to the mainland would be needed. Simply: Make no net carbon liquid fuels, not carbon free electricity. Since this is a cycle, there is no net depletion of these resources. Probably both; all solutions have problems – you can’t do just one thing. The better question is: Do the benefits outweigh the risks/problems? Only research has a chance of accurately answer that, not speculation or wishful thinking. It is also unfortunate that OurEnergyPolicy.org chose to perpetuate the use of “climate engineering” and not follow NAS’s lead in using “climate intervention” (CI) to describe actions (not necessarily engineering, e.g. afforestation) that fall outside of emissions reduction and of adaptation to climate change. As the NAS’s two report also point out, it is not useful to lump carbon dioxide removal strategies in with albedo modification methods. Do leading climate engineering proposals offer a realistic form of response to climate change? Given our rather dire circumstances, yes. Further research is needed to determine just how realistic, effective and safe. Continued failure of adequate GHG emissions reduction will increase the need for CI or for adaptation to the consequences otherwise. Is adaptation/suffering preferable to CI? – how will we know unless we gather as much evidence as possible. What are the major scientific, political, and social challenges to climate engineering’s development? Failure of political and social institutions to appreciate just how dangerous anthro GHG’s are to the habitability of the planet, and those institutions’ failure to actively solicit, support and govern research into all options for avoiding or mitigating the consequences. Do the potential benefits of climate engineering research outweigh the risk that it will be used as an excuse not to deal with carbon emissions today? In the absence of CI, there apparently are plenty of other “good” excuses for not dealing with carbon emissions today as evidenced by the continuing rise in GHG’s. In the face of our ongoing failure to adequately reduce emissions, isn’t there a moral hazard in insisting that emissions reduction or suffering the consequences be the only 2 options for the planet, especially when other options have been seriously proposed and might prove useful if not essential? Greg: I get the distinct sense that the term “climate intervention” was embraced by the NAS not as a more accurate description of the concept than because climate geoengineering has become such a “hot” term in the field. And while it’s assuredly true there are options that might fall under this conceptual rubric that aren’t “engineering,” the main ones you describe, i.e. large-scale carbon dioxide removal approaches, e.g. air capture, assuredly do entail substantial engineering, including potentially building infrastructure to transport CO2 that is as large as the coal, natural gas and mining industry’s infrastructure combined. We shouldn’t sugar coat this fact with the public by using terms e.g. “intervention;” this is both physical engineering writ large, as well as potentially very large social engineering in the case of CDR approaches e.g. BECCS, which could result in displacement of populations to clear out land for bioenergy production, or substantially increase the price of basic commodities for the world’s poor. Let’s call this what it is and let the public engage. Thanks Wil. Certainly agree that we need to call it what it is. That is why I and many others side with the NAS that engineering is not an appropriate descriptor. Engineering implies a level of experience and existing practice, a control of outcomes and a predictability that is not necessarily evident in specific AM or CDR methods. That said, very large doses of engineering will be required with any strategy we employ including favorites like emissions reduction, renewable energy, adaptation, etc.. But we don’t use the term engineering to describe these activities. Neither should we in the case of direct climate management/intervention or post-emissions GHG management/intervention. On the other hand I’m all for engineering social and political interest and actions that lead to avoidance of unsafe GHG levels and, if needed, that help us adapt to or modify the consequences of the alternative. Without sufficient social and political will and focus, little will happen, be it engineering or otherwise. Thanks for your response, Greg. It’s an interesting question in terms of terminology. As as an old rhetorician, it’s one that I think matters, and from your remarks, I think you agree. I take your point, and that of NAS, about what the term “engineering” implies. At the same time, I think that the term “intervention” is a bit anodyne and tilted in favor of such approaches because, in the popular parlance, the term usually has a positive connotation, i.e. we stage “interventions” when we need to save people from themselves. In the end, I might plump for stripping away all such umbrella terms and merely seek to address each specific technological option discretely. On this question, Greg and Wil, of how best to talk about “geoengineering” or “climate intervention,” it appears a live debate in policy-making circles. First question — what is to be made of this kind of legislative move? As written, the bill seems to draw no real distinctions between different types or scales of potential geoengineering schemes. Does this mean that everything from large-scale stratospheric aerosol injection to biochar development to tree planting are to be viewed and assessed in the same manner, by the same agency? Second question — how did this piece of legislation emerge in Rhode Island? What does it say about the state of the climate engineering / climate intervention conversation in policy and wider public circles in the United States? 10K years of liberating Carbon from soils & forest just needs to be reversed. A host of Ag BMPs, (Best Management Practices), Forestry BMPs, Grazing BMPs and new Biomass thermal conversion technologies, which don’t burn the carbon, build tons of Soil Carbon/ac/yr. Biochar systems have so many market applications yet to be cultivated; “Carbon Fodder” feeds for Livestock in the EU, Australia & Japan, Plant Chemical Communications, (plant signaling), even Char building materials such as Biochar-Plasters which block Cellphone signals, the potential markets are massive. CoolPlanet’s investors & CEOs project (assert) that they will be the first Trillion Dollar Company, based on their $1.50/Gal. cost to produce Bio-Gasoline. Biochar the by product. It would be immensely helpful to hear from others about biochar’s potential. There is an active research community looking at options for scaling up biochar production and deployment. Can folks within that community tell us, is it true that biochar and other soil or landscape remediation practices can make a measurable dent in atmospheric carbon loads? How do we know? What questions about biochar’s promise remain to be asked and answered? I also wonder, if the technology is as promising as proponents suggest, what stands in the way of large-scale development? If there are other biochar specialists lurking on the conversation, or people who have specific questions about biochar and related technologies, please do weigh in. I don’t have any insights into the genesis of this bill, but I suspect it’s not the last one we’ll see of this nature. Just as climate policy/energy policy (think things e.g. state regulation of fracking or RGGI or AB32) has been effectuated at the sub-national level, so may climate geoengineering policy. It is possible, however, should climate geoengineering become a serious policy option in the United States, that Congress may seek to upend state regulation of this nature. I think it would have clear authority to do so under the Preemption Clause of the US Constitution (Article VI, Clause 2). 3. I do applaud the bill’s proposal to establish a mechanism for public deliberation on the merits of climate geoengineering, something woefully lacking in both the major NAS reports released a few weeks ago. However, the mechanism to effectuate this, public hearings, doesn’t appear to be the optimal approach to accomplish this, in that it’s likely that such venues won’t be representative of public sentiment, nor is there a reflexive process that would help to engage scientists, citizens and policymakers in a dialogue about the technical, ethical and political implications of geoengineering. The state could become a leader in this context by developing a process, as some states have done in the past in the context of nanotechnology and GMOs (e.g. North Carolina State University’s National Citizens’ Technology Forum), to facilitate this. This could include the development of consensus forums, citizen juries and deliberative mapping exercises. It would behoove our community to reach out to the drafters to discuss some of these issues. I worked with the NAS Committee that authored the Climate Intervention reports and wanted to weigh in with a couple of comments in response to the thread on the proposed Rhode Island state legislation. It should be noted that the committee recognized that they were largely a group of physical and natural scientists and did not have the requisite expertise to fully flesh out what those open deliberations should look like, but they specifically recommended that there should be a larger conversation. The committee was not asked to determine how to structure such deliberations and recognized that they did not have the expertise to properly design those deliberations. Scientists should be part of the conversations moving forward, but as the reports strongly state, the conversation needs to be broader than just scientists. I will say that from my own point of view, I hope that groups like this one on this website can take up the conversation to help figure out the best ways to go forward with building larger conversations and discussing how some of these more risky ideas should be governed. Do people have good ideas for how to engage with the larger stakeholder community? Are efforts like Solar Radiation Management Governance Initiative (http://www.srmgi.org/) heading in the right direction? Thanks for your thoughtful response, Ed. As much as the NAS did talk about the need for a deliberative process, it focused on the potential role of “civil society,” which is a term of art that usually refers to NGOs and other institutional actors. Many of us have concerns that this will restrict the process to major NGOs, which may not be representative of societal opinions on the whole given their membership and funding sources. We will be publishing an essay on the FCEA site next week (dcgeoconsortium.org/) that focuses on the need for expanding the purview to ensure meaningful PUBLIC deliberation in a process that is know as reflexive engagement. Stay tuned! To paraphrase … it takes the whole community to create a sustainable society. Twenty years ago, as I worked on a Masters in Communication, I read a paper that compared the 1960’s decision to building nuclear plants in France to a different approach in a small European country. I don’t remember which country but I lean to either The Netherlands or a Scandinavian country. In France, the ‘powers that be’ believed nuclear was the best choice and the country built reactors to eventually provide 2/3rds of France’s electricity. In the other country, a discussion was held throughout the country. Study materials were provided but study not limited to what was provided. In order to vote in the subsequent referendum you had to have participated in a study group. The consensus reached throughout the country was: nuclear sounds good but the industry and the scientists still need to find a way to deal with nuclear waste and plant closings before we build those plants. My point … a policy that affects the community needs community input, granted the input should come from some level of knowledge. Does climate modification need global affirmation? Should any one country have the freedom to make those choices without affirmation from just about everywhere on the earth. Sounds difficult … much more difficult than just to just stop fouling the atmosphere.